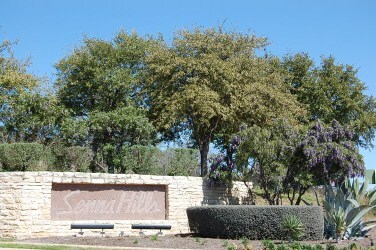 Senna Hills is conveniently located right near the new "Hill Country Galleria" shopping center off of Bee Caves Rd. between Westlake Hills and Bee Caves. The typical make up of the community is from new homes, to homes 8-10 years old. The average home size is around 3000-4000 sq. ft. Most residents choose to move here to stay away from the more expensive homes in Westlake Hills, but to benefit from being in the same school district, Eanes ISD. Amenities include a community pool, tennis courts, a sport court, and hike and bike trails. Commuters have a rather short commute into Austin, Westlake Hills, Lakeway, Spicewood, Driftwood, Dripping Springs, and Oak Hill. Shopping nearby at the new outdoor "Hill Country Galleria" has a new "Whole Foods" market, as well as being just 20 minutes from Barton Creek Mall, and from Westlake Hills shopping. Homes for sale in Senna Hills typically run from the mid $400's - $800's.